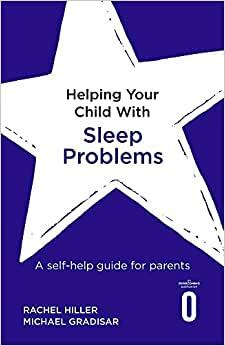 A practical and easy to use self-help guide for parents whose children are experiencing sleeping problems. Start reading Helping Your Child with Sleep Problems on your Kindle in under a minute. Does your child have trouble getting to sleep? Are they worried about being left alone? Sleep problems are a common issue for school-aged children and can be a stressful situation for child and parent alike. But whether your child suffers from bedtime separation anxiety, insomnia or night-terrors, or simply refuses to sleep in their own bed, this book can help. This step-by-step guide to establishing better sleep patterns will help you become a sleep therapist for your child! RACHEL HILLER is a clinical psychologist and researcher in developmental psychopathology at the University of Bath, UK. She worked for a number of years at the Child & Adolescent Sleep Clinic in South Australia, where she specialised in CBT treatments for childhood sleep disorders. Her clinical and research work in the UK continues to focus on helping families of children with sleep and anxiety disorders. MICHAEL GRADISAR is a clinical psychologist and professor in clinical child psychology at Flinders University, Australia. He is also the director of the Child & Adolescent Sleep Clinic, where he has helped hundreds of school-aged children (and their parents) to sleep better through the night.